The iOS platform is always stereotyped with “class” due to the mind-blowing features, applications, and games that come with it. Am pretty sure everyone wants to enjoy these features provided by Apple Inc. But that may not be the case for everyone as you all know Apple products don’t come cheap. That being said, there are a good number of iOS apps that people want to enjoy on their Windows 10 or Mac but most of these apps have not been customized for use on the desktop or laptops. As part of our objective to provide you with solutions and tools that enrich your Windows experience, we will show you how to access the best iOS applications now on Windows PC. To do so, you will need to download and install an iOS emulator compatible with Windows 10. 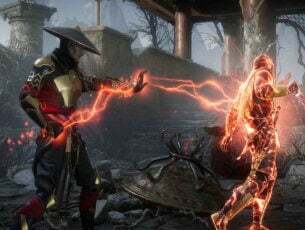 In this article, we will introduce you to the best iOS emulators, which you can use to run your favorite iOS apps and games on Windows 10 PC. Which are the best iOS emulators and simulators for Windows 10? iPadian iOS emulator is arguably the best iOS emulator for Windows 10. Fans of iPad would really love the iPadian to access iOS apps on their Windows PC since it provides the real iPad interface on Windows. App icons, gestures, and background give an untainted iPad experience. iPadian comes with all the popular apps such as Twitter, Facebook, Instagram, YouTube, and many other apps pre-installed. It also features a customized apps store from where you can access all your iOS apps on Windows. 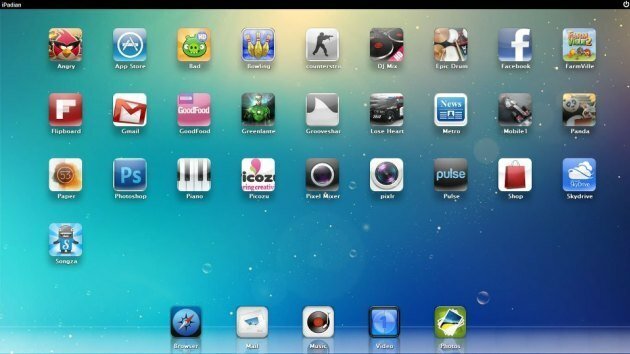 Other features that you find on iPad such as dashboard, dock, and sidebars are also available on this emulator. iPadian is the best iOS emulator for playing iOS games on Windows computer. It can also be used on Linux and Mac OS X systems. 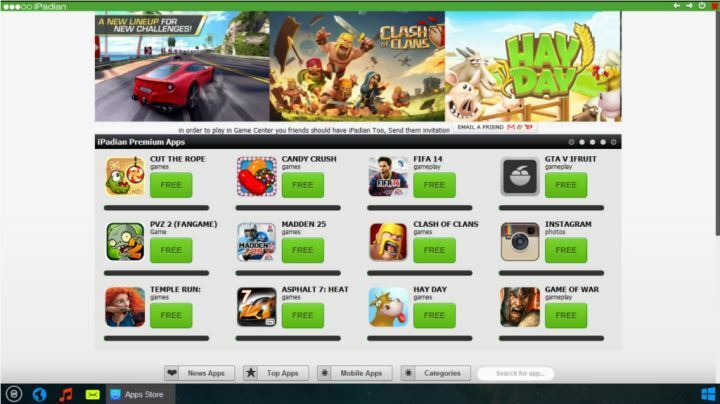 Apart from the pre-installed apps, iPadian also comes with pre-installed games. It’s very easy to use and you only need to double-click on any application to launch it. Everything you will find on the iPadian emulator is pretty amazing. The emulator is available in two variants; one is free and you have to pay for the other one. Both work almost the same but of course with the paid variant, you get more features and functionality. You pay $10 dollar to download the paid version, not very cheap but it allows you to install any iOS app like Snapchat or Whatsapp. To install the iPadian app, follow the steps below. Download iPadian from this link. Open the .exe file once the download is complete. Restart the app once the installation is complete. You can also watch the video below for more information. Air iPhone is another great emulator that is a complete package in itself. You can make and receive calls, send voice messages, add contacts and of course download and install iOS apps and games on your Windows 10 computer. This emulator has been tested under the conditions in which the iPhone operates and checked for its response. Air iPhone is compatible with Windows 7/8.1/10 and XP. This is the best alternative to iPadian as you can enjoy all iOS apps on your Windows PC without spending an extra buck. If you want an emulator that replicates the iPhone interface on your PC, then Air iPhone is your best choice. Additionally, developers can also use it to test apps before pushing into to the app store. The installation process for Air iPhone emulator is easy and straightforward. You can also upload the app you want to test and Air iPhone will allow you to test its functionality for free. Download Air iPhone emulator from this link. Please note: because the tool is created with Adobe, you will need to install Adobe Air on your Windows PC. Xamarin Testflight is quite different compared to the two iOS emulators for PC discussed above. With this one, you will first need to create the iTunes current record account. This is not a free app, but if you can, it’s worth your every penny. In terms of developer support, Xamarin Testflight is by far the best iOS emulator for PC. It comes with advanced support and a user-friendly interface for iOS apps. Apart from offering excellent developers support, it allows you to run all your favorite iOS apps and games on your Windows 10 computer without any interruptions. Xamarin Testflight is also compatible with all versions of Windows operating system so you are assured it will work no matter the version of Windows you are using. 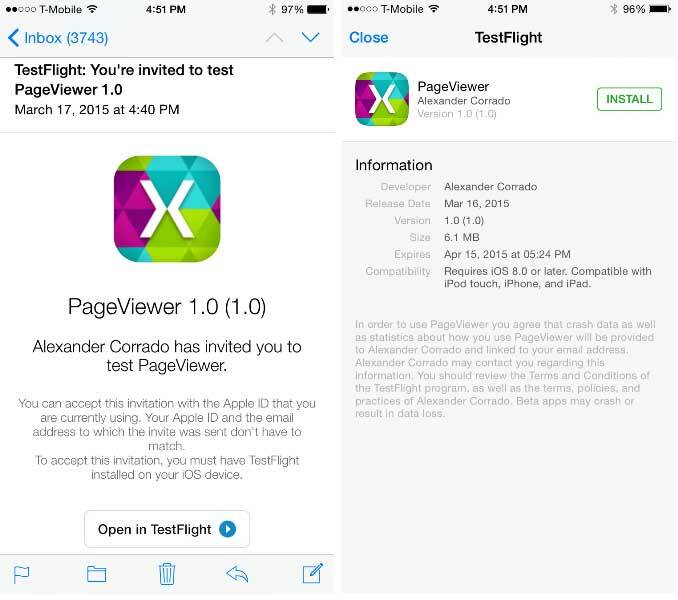 Follow the link below for detailed procedure and an amazing tutorial on how to download, install, and use the Xamarin Testflight. Just like Xamarin Testflight, this emulator is more than just an ordinary iOS emulator. 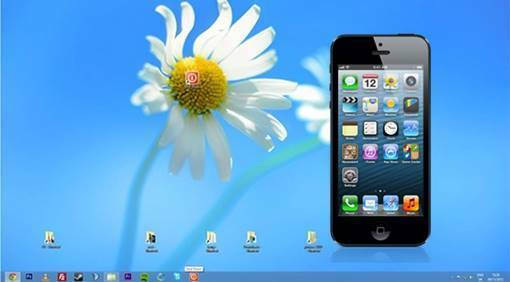 You can use this emulator to run all your favorite iOS apps and games on your Windows PC. And if you are a developer, you will love what MobieOne Studio has to offer. First, it resembles the Android SDK used by developers to develop applications for the Android platform. The only downside is that this one is not available for free. However, you can enjoy the first 15 days for free after which you will need to pay in order to continue with the service. MobieOne Studio offers advanced support to developers. Even if you are not a developer and you wish to develop an app, this emulator will guide you through everything you need to know including the technical stuff. 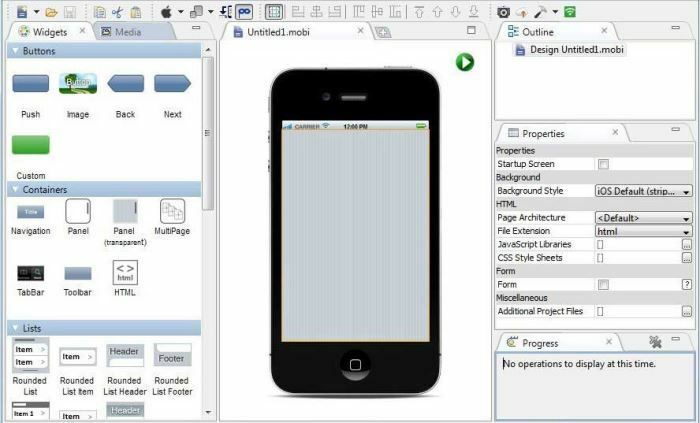 Not only can you use this tool to develop iOS apps, but Android apps and games as well. And if you are not a developer, you will still benefit from the emulator as it allows you to download all your favorite iOS apps and games on your Windows PC, so you don’t need to buy an iOS device to access some of those premium iOS apps. MobieOne Studio also allows you to configure the application on your iPad or iPhone if you have one, build status notifications on your desktop, as well as share the application. You can also check the status or the download progress of the apps you are downloading as well as customize the icons of the applications in MobiOne Studio. Additionally, MobieOne Studio is compatible with all the versions of the Windows Operating System, Windows 10 included. Watch the video below on how to download and install MobieOne Studio on Windows. 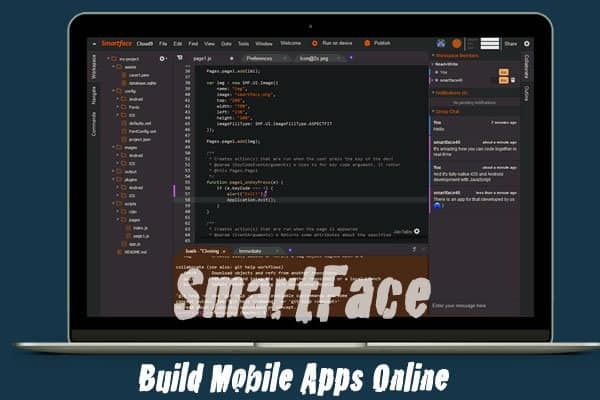 Smartface enables you to emulate iOS at no cost. It is one of the top rated iOS emulators for Windows and also allows you to develop unlimited apps free of cost. Smartface allows you to emulate different iPad and iPhone versions such as iPad mini, iPhone 5, iPhone 6 and more. This program is also a very handy tool for developers and enables them to perform various functions such as adding texts, images, videos, scroll view, map view, and many other components in the development process. Smartface has a user-friendly interface and apart from iOS, you can also use it to emulate Android apps. Although it’s mostly used by developers for designing and testing apps, it performs exceptionally well when used to emulate iOS on Windows 10. 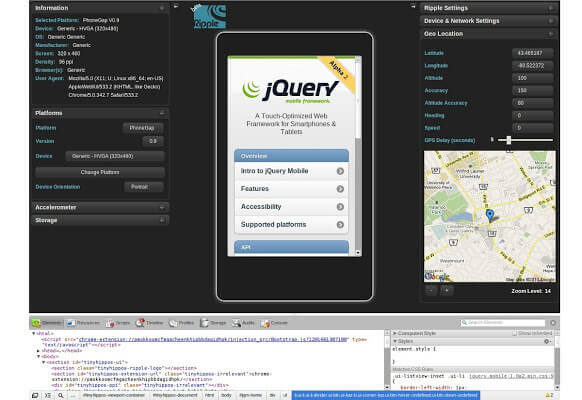 Ripple emulator is an amazing tool that can help you testing your HTML5-based apps. Normally you have to do that using PhoneGap or other similar tools, but Ripple Emulator is a simple Chrome extension that can run many iOS functionalities so you can run the apps. This tool is great for testing your apps but it cannot be used as a true emulator as it is a bit more sophisticated than the emulators listed above. Due to the existing similarities between an emulator and a simulator, most people find it hard to differentiate between the two. Although both sound the same, there is a variation between them. 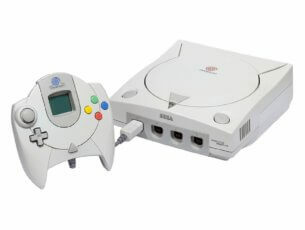 An emulator works to replicate the original device. It is designed to run the applications and software of the original device without modifying them. iOS emulators are normally used by non-iOS users who want to have a taste of the iPhone interface without having to buy the device. On the other hand, a simulator can set up an environment similar to the one of the original device’s operating system but does not attempt to replicate its hardware. Due to this reason, some applications may not run at all on simulators while others may run differently. Windows Report has just shown you some cool ways to enjoy iOS apps on your windows computer. Just follow the above instructions and don’t hesitate to let us know if you encounter any problems. Feel free to comment and share. EDIT: Unfortunately, we’ve made a mistake. All of the presented apps are actually iOS SIMULATORS for Windows 10. So, if you’re looking for an iOS EMULATOR, you won’t find it here. In fact, we’re not sure if there’s any on the market at all. If you’ve heard of a ‘real’ emulator for iOS, please let us know in the comments. We apologize for the misunderstanding once again. Editor’s Note: This post was originally published in August 2016 and has been since revamped and updated for freshness, accuracy, and comprehensiveness. We want to be sure that our list has the best products that will fit your needs.